How can we look at Thomas and Margaret and not include something about the area? 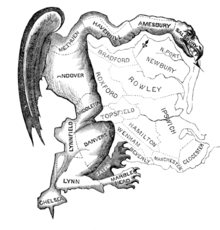 A whole lot went on in Essex County (note the dragon -- ca 1812), so we'll separate it further. The sister blog centers itself on Newbury. The original point of entry was on Cape Ann, namely Gloucester. 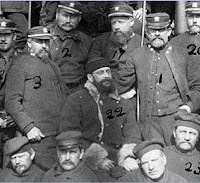 Then, the group moved close to the mouth of the Naumkeag river and started a settlement that would become Salem. By the way, the Massachusetts Bay Colony page has a timeline for the settlements. As we look at the Gardner family, and its related families, we'll cover about all of these. 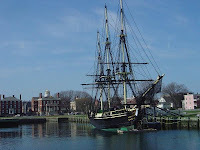 The following is a list of web-accessible information about Salem and the 'Old Planters' of whom Thomas was a member. Sidney Perley -- The History of Salem Massachusetts -- a fairly extensive three volume set. The document is categorized under research related to the trials of 1692, yet its extent is much more than that. Perley's ancestor came over with the Winthrop fleet (with about 700 others) in 1629. Also, Perley has Anthony Potter as a forebear (as well, as Dudley, Bradstreet, et al). 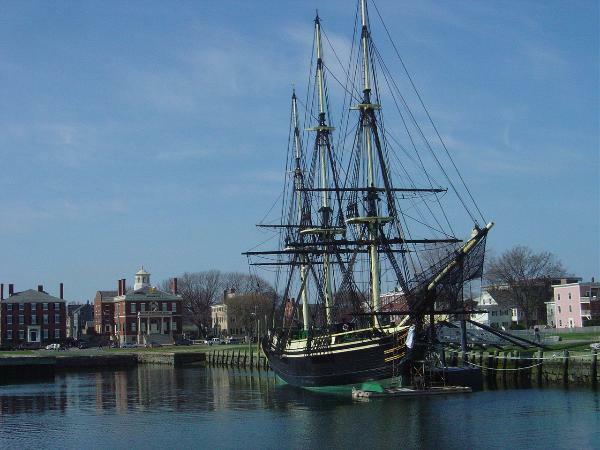 Trials of 1692 -- cannot have Salem without its warts -- we'll have a post from time to time about this, as a couple of generations dealt with this matter. Just as a point in reference, recognition, and appreciation, of Giles Corey was ought to be more universal. The connections: Mary White, Samuel's wife, was 1/2 aunt (Bailey, et al) of George Corwin. Also, according to Samuel Sewall, the Court asked Capt. John Gardner (who had served as Chief Magistrate of Nantucket, descendants) to try to persuade his friend, Giles, to capitulate. John Goff -- Looking at Salem's Beginnings: The White and Gardner family contributions -- reminding us of Thomas and his uncle, John White, and of 12/29 being the date of Thomas' death. We will update this list with new information from time to time. 05/20/2011 -- Salem Roll Call. Salem on Facebook. 01/18/2011 -- We'll be looking at the northern and the middle parts of Essex County. 01/14/2011 -- Should have known. Follow Salem on Twitter.